Medicare is expanding its diabetes prevention program effective with dates of service on or after April 1. • CMS states that if a skilled nursing facility, nursing facility, or assisted living facility meets all the CCM billing requirements and it is not receiving payment for care management services, you may bill CPT 99490 for CCM services furnished to beneficiaries there. The place of service on the claim should be the billing location (i.e., where the billing practitioner would furnish a face-to-face office visit with the patient). • CMS specifies that levels 2 through 5 evaluation and management (E/M) visits qualify as “comprehensive” visits for CCM initiation. CMS is not requiring the practice to initiate CCM during a level 4 or 5 E/M visit. However, CPT codes that do not involve a face-to-face visit by the billing practitioner or are not separately payable by Medicare do not meet the requirement for the visit that must occur before CCM services are furnished. • CMS indicates that it will give the billing practice some latitude in situations where the billing practice has the ability to send clinical summaries or the electronic care plan by way of an acceptable electronic technology other than fax, but the receiving practice/provider (which is not billing for CCM services) can only receive the required information by way of fax. For additional information, a fact sheet on CCM is available on the CMS website(www.cms.gov). The agency also notes that the scope of service elements and other requirements for billing CCM to the Medicare physician fee schedule (MPFS) are laid out in the calendar year 2014 and 2015 MPFS final rules(www.cms.gov) (CMS-1600-FC, CMS-1612-FC and CMS-1612-F2), which are also available on the CMS web site. The ability to receive payment for providing chronic care management (CCM) services to Medicare patients is more than nine months old, but many physicians still don’t know about it. A new survey found that almost half of 500 physician respondents said they were not aware of the Medicare program, which is aimed at patients with two or more chronic conditions. Yet 62 percent of those surveyed said they, their staff, or a third party contact their Medicare patients with multiple chronic conditions between visits. The CCM program provides additional payments for those services to eligible patients if they total at least 20 minutes of staff and physician time during the month. SmartCCM, a Dallas-based company that provides outsourced CCM services to practices, surveyed the physicians online this summer. Forty-four percent of those surveyed were in family medicine or general practice; the remainder were internists and geriatricians. More than eight out of 10 were in private practice. The survey also asked the physicians about the biggest challenges they face in treating patients with two or more chronic conditions. The challenges raised most often were a lack of time to provide these patients extra guidance and reinforcement on dealing with their conditions (63 percent) and the overall complexity of dealing with multiple conditions (56 percent). Other physician complaints included patients inconsistently adhering to treatment or medication plans, balking at the cost of tests and medication, and calling or visiting too frequently, as well as the practice being unable to monitor patients between visits. Last week, the Centers for Medicare & Medicaid Services (CMS) hosted a national provider call on payment of chronic care management (CCM) services, codes for which went into effect this year. The call reaffirmed a lot of what CMS has previously stated in the Federal Register and that the AAFP has summarized on its web site. One new piece of information gleaned from the call is the fact that rural health clinics and federally qualified health centers are not authorized to bill Medicare for CCM at this time. CMS staff indicated that they hope to change that in 2016. On the call, CMS staff also highlighted that they have published a fact sheet on CCM(www.cms.gov). For those who missed the call, an audio recording and written transcript of it(www.cms.gov) will be posted in approximately two weeks. A copy of the slide presentation(www.cms.gov) used during the call is already available. Q1. Does doing prior authorizations for medications and tests over the phone or ordering them electronically satisfy the Chronic Care Management (CCM) scope of service? A1. The CCM scope of service includes “medication reconciliation with review of adherence and potential interactions” as well as “oversight of patient self-management of medications.” It is debatable whether time spent on the phone doing prior authorization for medications and tests or time sending in such prior authorization electronically would count for this purpose. At this point, it is probably safer not to count time spent on prior authorizations as CCM time, although CMS has not explicitly addressed the question. Q2. If we don't do 20 minutes of CCM in a month, but our work over two or three months adds up to 20 minutes, can we bill at that time for a month? A2. No. Code 99490 is for 20 minutes “per calendar month.” You cannot add time up over multiple months to report 99490. Q3. Can the case manager of a Medicare Shared Savings Program accountable care organization (MSSP ACO) who works under the physician's direction be counted for doing work outside of the office? It appears so as long as we record it. A3. If the MSSP ACO case manager is a clinical staff person and the work that he or she does otherwise meets Medicare’s “incident to” rules relative to the physician who will be reporting 99490 (understanding that, for CCM, CMS allows “incident to” services to be provided under general, rather than direct, supervision), then his or her time may be counted toward the 20 minutes necessary to report code 99490, where appropriate. Q4. When billing 99490, do we use the diagnosis codes for the two chronic care conditions we are using? I would think so but haven't found guidance so far. A4. CMS has not specified what diagnosis codes should be reported with code 99490. Absent guidance to the contrary, it seems reasonable to report at least the two primary chronic care conditions for which you are providing 99490. Q5. Can CCM services related to medication management be delivered by a clinical pharmacist embedded in the clinic? If yes, I assume the billing for the CCM services would still be under the supervising physician or mid-level provider, or can the clinical pharmacist bill directly for the CCM service? A5. CMS has acknowledged that the services of pharmacists may be billed “incident to” those of a physician or other qualified health care professional, such as a nurse practitioner or physician assistant, as long as all of the “incident to” requirements are otherwise met. Thus, a clinical pharmacist could be counted among the clinical staff able to provide CCM services “incident to” the services of the physician or mid-level provider under whose provider number the services will otherwise be billed to Medicare. I do not believe that Medicare recognizes clinical pharmacists as providers for purposes of billing Medicare directly under Medicare Part B or the physician fee schedule. Q6. How many work relative value units (RVUs) are assigned to the CCM code? A6. The 2015 Medicare physician fee schedule assigns 0.61 work RVUs to code 99490. Q7. Can only the physician create the care plan, or can the physician delegate it to other clinical staff? Also, can a mid-level provider, such as a nurse practitioner or physician assistant, acknowledge/sign the care plan? A7. 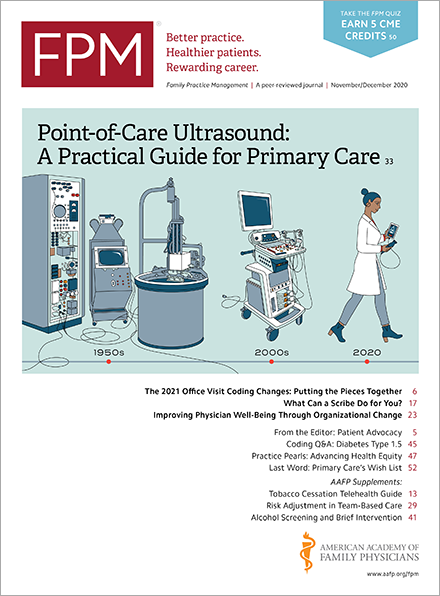 In the final rule on the 2015 Medicare physician fee schedule, in its discussion of the scope of the CCM service, CMS states, "In consultation with the patient, any caregiver, and other key practitioners treating the patient, the practitioner furnishing CCM services must create a patient-centered care plan document to assure that care is provided in a way that is congruent with patient choices and values." I interpret this to mean that the physician or non-physician practitioner who is nominally furnishing CCM services and, presumably, under whose provider number the services will be billed is responsible for creating the care plan. Also, CMS uses the word "practitioner" rather than "physician,” so I believe that a mid-level provider, such as a nurse practitioner or physician assistant, could acknowledge/sign the care plan if he or she created it. Q8. I understand that I cannot bill CCM services for patients in a facility setting? How is “facility” defined? A8. In the final rule on the 2014 Medicare physician fee schedule, CMS stated, "The resources required to provide care management services to patients residing in facility settings significantly overlaps with care management activities by facility staff that is included in the associated facility payment." CMS did not define "facility" beyond that. I interpret facility in this context to be any health care entity (e.g., hospital, skilled nursing facility, etc.) that receives a facility payment from Medicare. Q9. I know CCM requires 20 minutes minimum. Is there an option to charge more if you spend a lot more time? I imagine many patients could take several hours per month. A9. There is no current mechanism to charge Medicare more if you spend longer than 20 minutes. CPT has complex chronic care management codes that would facilitate that, and the AAFP encouraged CMS to use those codes for just this reason. However, for 2015, CMS is only recognizing and paying 99490, which is open-ended in terms of the time involved. Q10. I know a patient-centered care plan is required. But must you complete it before doing any charges? A10. The scope of service for CCM includes creation of a patient-centered care plan. CMS also requires that you provide a copy of that care plan to the patient. I believe CMS expects both of those things to be done before you report 99490 the first time. Q11. Can you bill CCM for Medicare Advantage patients? A11. You will need to check with the Medicare Advantage plans in your area regarding whether or not they will pay for 99490 in 2015. My understanding is that, in general, patients in Medicare Advantage plans are entitled to the same benefits enjoyed by patients covered under traditional Medicare. However, I have heard from some family physicians that some Medicare Advantage plans do not plan to cover and pay 99490. Q12: Can you bill CCM for patients in an assisted living facility? A12: CMS has stated in the final rule that physicians cannot bill CCM services for patients in a facility setting. CMS said, "The resources required to provide care management services to patients residing in facility settings significantly overlaps with care management activities by facility staff that is included in the associated facility payment." CMS did not define "facility" beyond that. I interpret "facility" in this context to be any health care entity (e.g., hospital, skilled nursing facility, etc.) that receives a facility payment from Medicare. If an assisted living facility is receiving Medicare facility payments for a given patient residing in that facility, I do not believe that you can report CCM for that patient. Q13: Regarding 24/7 access to care management, is this defined as a phone call? Would 24/7 access for “urgent chronic care needs” by a patient portal be acceptable under the guidelines? A13: Regarding 24/7 access to care management, CMS states, "To accomplish this, the patient must be provided with a means to make timely contact with health care providers in the practice to address the patient's urgent chronic care needs regardless of the time of day or day of the week." Elsewhere, CMS states that the scope of CCM services includes "Enhanced opportunities for the beneficiary and any relevant caregiver to communicate with the practitioner regarding the beneficiary's care through not only telephone access, but also through the use of secure messaging, Internet, or other asynchronous non face-to-face consultation methods." Based on this information, 24/7 access is not necessarily defined as a phone call. Q14: If I am reading this right, we are not being asked to be available for “urgent acute care needs” but “urgent” issues regarding their chronic care conditions. Does Medicare define how quickly the provider must respond to the patient’s urgent care needs? A14: As noted, CMS states, "To accomplish this, the patient must be provided with a means to make timely contact with health care providers in the practice to address the patient's urgent chronic care needs regardless of the time of day or day of the week." (Emphasis added) Thus, this access is related to "urgent chronic care needs." Medicare does not define "timely" in this context. Q15: What do we use for a date of service? A15: CMS has not addressed this particular question. Code 99490 is intended to encompass a calendar month's worth of work. Box 24 on the CMS-1500 claim form does permit a "from" and "to" date, so I would consider putting the first day of the month as the "from" date and the last day of the month as the "to" date for 99490 as a line item. (I presume electronic claims would also support this approach.) Because code 99490 does encompass the entire calendar month, I would refrain from billing it until the last day of the month, in much the same way that CMS expects providers to wait until the end of the 30-day period to report transitional care management (TCM) codes. Q16: Can I bill CCM in the same month in which I see and treat a patient? A16: I am not aware of anything that would prohibit you from reporting 99490 in the same calendar month during which you saw the patient and reported an appropriate evaluation and management code for that encounter. The only codes of which I am aware that CMS has stated you cannot bill in addition to CCM services for a patient during the same time period are TCM services (99495 or 99496), home health care supervision (G0181), hospice care supervision (G0182), or certain end-stage renal disease services (90951-90970). For other questions and answers, check out the list of CCM frequently asked questions on the AAFP web site. How much is care management worth? The Centers for Medicare & Medicaid Services' (CMS) proposal to begin paying for chronic care management in 2015 has led some to ask how much care management is worth. The CMS's proposal values it at approximately $42 for 30 days. However, CMS’s Comprehensive Primary Care Initiative(innovation.cms.gov) says it is reportedly worth between $8 and $40 per beneficiary per month (PBPM), averaging $20 PBPM during the first two years and $15 PBPM during the third and fourth years. Meanwhile, a Robert Graham Center presentation(www.graham-center.org) found that care management fees across public and private programs varied greatly, ranging from 60 cents to $444 per member per month (PMPM). The fees are highly variable partly because no two fees are covering the same group of services. It is a matter of comparing not only apples and oranges but also pineapples and bananas. The policy does not address how much the AAFP thinks these activities are worth, either individually or as a group. However, it does provide a starting place for trying to value care management in a systematic way. So, how much do you think care management is worth? The Centers for Medicare & Medicaid Services (CMS) wants to begin reimbursing physicians for some of the unpaid care management services they provide patients with several chronic conditions. Contained in CMS's proposed 2015 Medicare physician fee schedule(s3.amazonaws.com), the provision would pay approximately $42 for the chronic care management (CCM) code no more than once per month per qualified patient. The payment is intended to compensate physician practices for non-face-to-face CCM services for Medicare beneficiaries who have two or more significant chronic conditions. • Access to care management services 24 hours a day, seven days a week, which means providing beneficiaries with a way to make timely contact with health care providers in the practice to address the patient’s urgent chronic care needs regardless of the time of day or day of the week. • Continuity of care with a designated practitioner or member of the care team with whom the patient is able to get successive routine appointments. • Care management for chronic conditions, including systematic assessment of patient’s medical, functional, and psychosocial needs; system-based approaches to ensure timely receipt of all recommended preventive care services; medication reconciliation with review of adherence and potential interactions; and oversight of patient self-management of medications. • Creation of a patient-centered care plan document to assure that care is provided in a way that is congruent with patient choices and values. A plan of care is based on a physical, mental, cognitive, psychosocial, functional, and environmental (re)assessment and an inventory of resources and supports. It is a comprehensive plan of care for all health issues. • Management of care transitions between and among health care providers and settings, including referrals to other clinicians; follow-up after a beneficiary visit to an emergency department; and follow-up after discharges from hospitals, skilled nursing facilities, or other health care facilities. CMS proposes that practices use an electronic health record (EHR) or other health information technology or information exchange platform to furnish the CCM services. It also says that technology solution should include an electronic care plan that is accessible to all providers within the practice, regardless of the hour of day, as well as being accessible to care team members outside of the practice. Physicians and other qualified health care professionals furnishing CCM services beginning in 2015 would be required to use an EHR certified to at least 2014 Edition certification criteria. The AAFP has prepared a summary of this and other changes proposed by CMS. One of the goals of health care reform has been to replace fee-for-service schemes with new payment models, such as bundled payments, based on the argument that it can make care provision more efficient and, possibly, cheaper. So far, those bundled payment efforts have been limited to surgical procedures and other one-time care episodes. But what about chronic conditions, which affect a large number of Americans and are expensive to treat? A new study says it's too early to consider bundled payments for chronic diseases, largely because various systems disagree on how to diagnose patients with a chronic disease and how to determine if certain episodes of care are chronic disease-related. This is especially difficult when comparing patients of different severity or those with multiple chronic diseases. Published in the latest Medicare & Medicaid Research Review(www.cms.gov), the study looked at a group of patients who received care between 2003 and 2006 that met the Healthcare Effectiveness Data and Information Set (HEDIS) criteria for diabetes or coronary artery disease (CAD). The patients' care was analyzed using two common episode classification algorithms, Episode Treatment Groups (ETGs) and the Prometheus model, to estimate an appropriate episode-based payment. The two algorithms varied significantly on the number of patients included and the value of care actually related to diabetes or CAD. For example, HEDIS identified 1,580 patients as having diabetes with a four-year payment mean of $67,280. But ETGs counted only 1,447 of the patients with a four-year payment mean of $12,731. Prometheus counted 1,512 diabetes patients, but eliminated 317 of them as having more than one chronic condition, and the remainder had a four-year payment mean of $23,250. For CAD, HEDIS identified 1,644 patients with a four-year total payment mean of $65,661. ETG reduced the number to 983 patients with a four-year payment mean of $24,362, but Prometheus identified 1,135 and ran 948 through the model for a four-year payment mean of $26,536. The researchers concluded that policy makers will have to have more in-depth discussions on how chronic care patients are identified and their care is classified before introducing bundled payments for chronic conditions.